Home / Workshop/Courses / Two hours chocolate workshop for one person. Two hours chocolate workshop for one person. Join us to enjoy two-hour of chocolate making workshop with R&M Fine Chocolate. 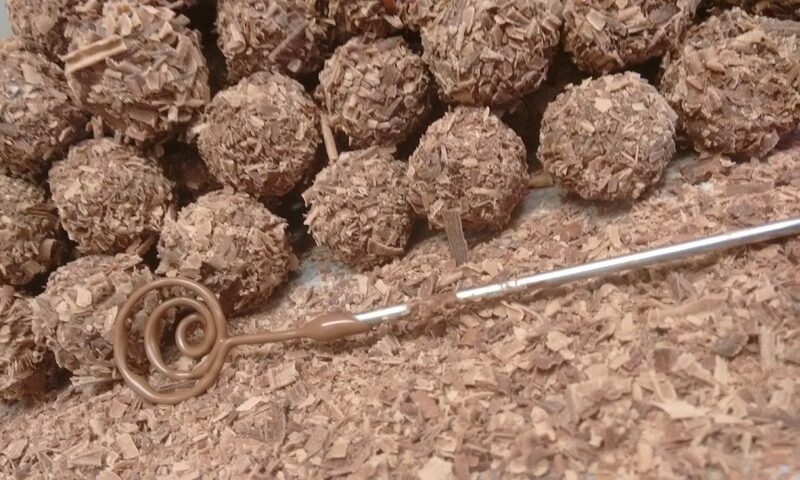 We will learn about the history and production process of chocolate before creating personal handmade chocolate snacks, lollies and 3 kind of truffles. Participants will learn to use few techniques to make and decorate the chocolate discs, lollies and truffles. You will learn loads of facts about the chocolate world. All you will do is to take home to share with your loved ones. Fill your email and phone number at the checkout form so we can send you the voucher and contact you for booking the workshop. Vouchers expires after five months from date of purchase. R&M Fine Chocolate is an Handmade chocolate boutique, based in the heart of Prestwich. We produce Kosher products and runing all kind of chocolate activities.